Bring the hot-towel barbershop experience home. This New Self-Heating Shave Cream is the ultimate preparation for a great shave. Our unique water-activated formula delivers a quick burst of warmth that helps open pores, soften stubble and reduce razor burn. 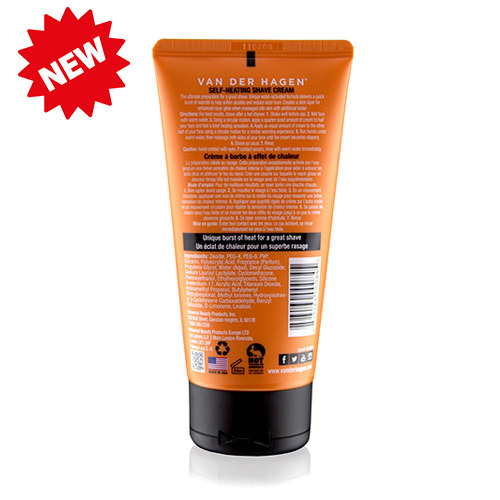 Add additional water, and the cream transforms into a slick layer for unbelievably smooth razor glide. 1.) Shake well before use. 2.) Wet face with warm to hot water to soften hairs. 3.) 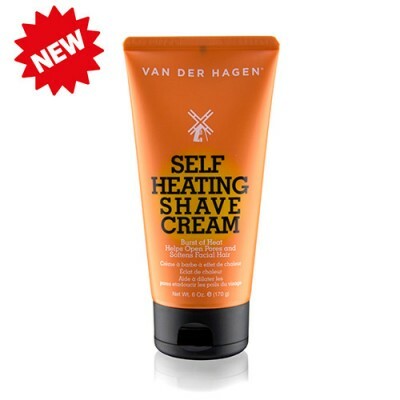 Using a circular motion, apply a quarter-sized amount of cream to half your face and feel a brief heating sensation. 4.) Apply an equal amount of cream to the other half of your face using a circular motion for a similar warming experience. 5.) Run hands under warm water. Thoroughly massage both sides of your face until the cream becomes slippery. Do not begin shaving until area is slick. Avoid contact with eyes. If contact occurs, rinse with warm water immediately.